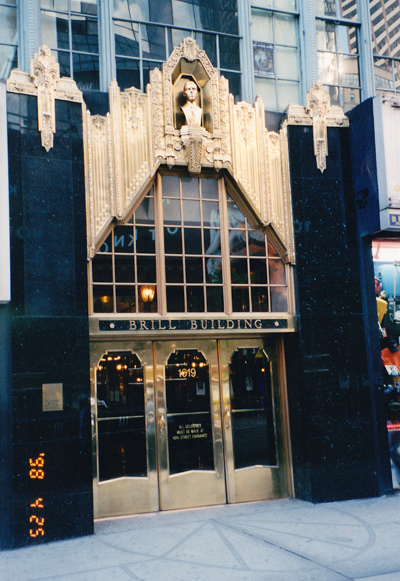 If the Ryman Auditorium is the mother church of Country music, then the Brill Building was the synagogue for the great standards of Pop music. Many of the writers that gave all of us over a hundred years of great music, came from European Jews who helped shape the music and film we all enjoy today. I can still remember walking up and down the hallways of the Brill, knocking and entering small and large publishing offices past pebbled glass doors, sitting down behind sometimes out of tune spinet pianos, playing one of my new songs, hoping to get a $100 advance against one that would be picked up and published.